It’s overwhelmingly the case that app stores for desktop and laptop computers have flopped. Nowhere is that more true than on MacOS. If you speak to Oleksandr Kosovan, CEO and founder of MacPaw, the reasons why become immediately obvious. The MacOS App Store, Oleksandr explained, is woefully mismanaged. It has bloated to over 30,000 apps. Many of these are of a poor quality, and many of which (appropriately called “dead apps”) have long ceased to be maintained. Worse, many apps (especially developer tools and pro apps) cannot be sold through the App Store, due to Apple’s sandboxing policy. In theory, this exists to protect consumers. It limits the chance of any malicious software slipping into the App Store by limiting what it can do. But this can act as a barrier to some legitimate activities. To the chagrin of Oleksandr, Apple’s sandboxing rules meant that he couldn’t sell CleanMyMac 3 – MacPaw’s MacOS cleaning software – on the MacOS app store. There’s also an argument that the Apple Store offers poor value to consumers. It makes it difficult for developers to sell add-ons and upgrades. This forces developers to bundle updates into large, staggered releases, or rely on in-app purchases (IAPs). In short, the MacOS App Store isn’t fit for purpose. Not for developers. Definitely not for consumers. But what can be done? It’s obvious, isn’t it? You build a new app store. MacPaw is based in a sprawling office in the Ukrainian capital of Kiev. 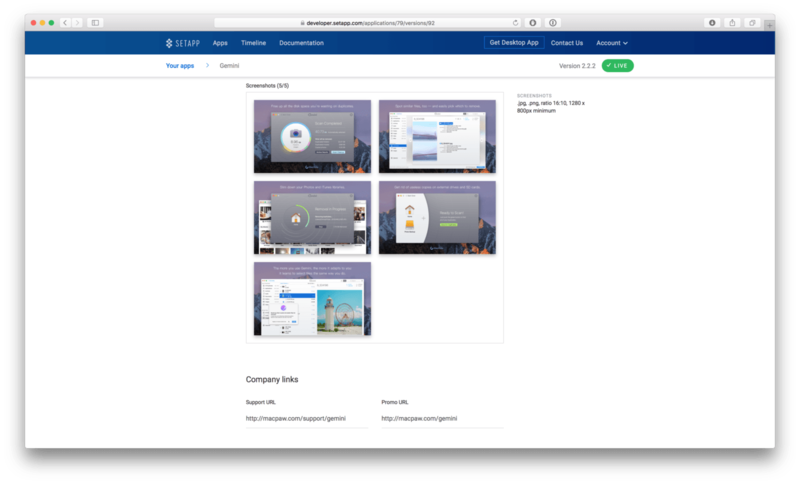 For the past few months, most of its 110 employees have been focused on one project, called Setapp. 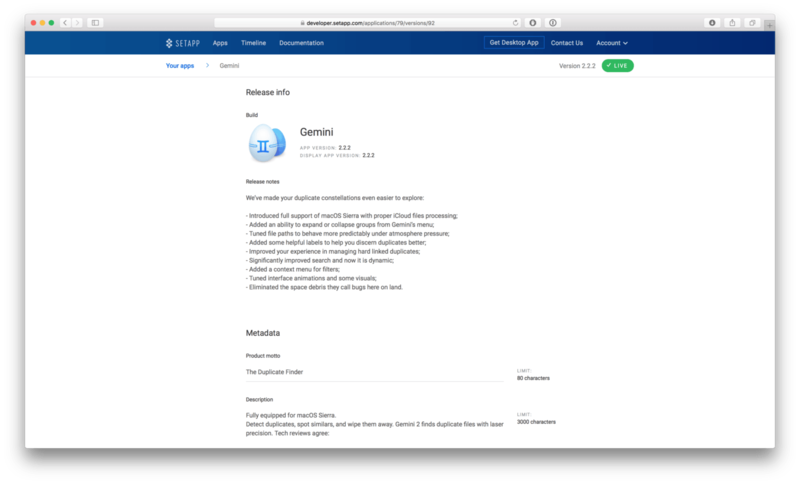 Setapp is an app store, but with an unusual twist. Customers pay a subscription fee of $9.99 per month, and in return get unlimited access to a library of high-quality, curated packages. These come from a small, hand-picked selection of reputable developers. So far, it has around 45 of these onboard. According to Oleksandr, MacPaw isn’t worried about numbers, but rather with ensuring each app is of a satisfactorily high quality. “We want a maximum of 300 of the best apps,” he told me. The mechanics behind how you use Setapp are delightfully simple. First, you register with the service and download a small app. This then creates a folder in your Finder favorites, which is populated with shortcuts to everything that’s contained in the Setapp library. Want to install something? Just double-click it. It’ll be on your hard drive in a matter of moments. You don’t need to be tethered to your Internet connection, either. If you lose connectivity, or if you’re in a place without Wi-Fi, your apps will continue to work as normal. 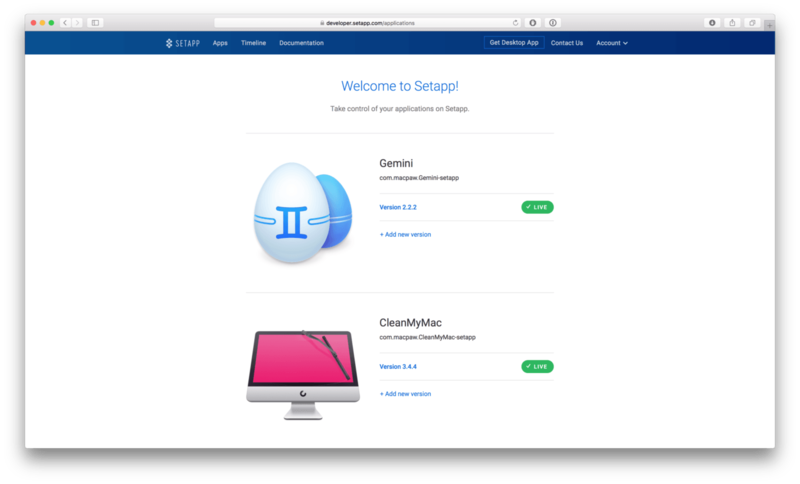 As you might expect, Setapp boasts most of MacPaw’s stable of software. But there’s also apps like Ulysses, CodeRunner, Blogo, RapidWeaver and Base, which all hail from other developers. Many of the apps listed are ones I’ve previously paid for, and enjoyed. But here’s the all-important question: how can companies make money from it? The subscription model for software isn’t new. Microsoft lets you pay for Microsoft Office in monthly installments. Adobe now only sells Photoshop as a subscription service. But for Setapp to be a success, it will have to persuade developers to take the plunge. To accomplish this, it has adopted an interesting revenue model. Hardly anyone pirates music anymore. That’s because services like Spotify and Apple Music came along and changed everything. These services created a value proposition that was higher than piracy. Rather than trawl through the murky undercurrent of the Internet in search of MP3s, they offer consumers an unfathomably large catalogue of music that’s of a consistent quality. Best of all, it’s cheap, safe, fast, and legal. Could Setapp do the same for software piracy? Perhaps. The same vital ingredients are there. Setapp will let people consume as much as they want, when they want. It’s relatively cheap. It’s abundantly safer than downloading cracked apps from The Pirate Bay. And then there’s the technical side. Oleksandr was eager to stress that MacPaw has a lot of experience fighting software piracy. It has used the lessons it has learned to build a software framework that will be included in every Setapp application. This comes with a number of anti-piracy measures baked in, and is uniquely built with every update. This makes it impossible to crack Setapp applications wholesale. The future of MacOS app distribution? Setapp exists because Apple has been asleep at the wheel for the past few years. Apple has failed to listen to the concerns of its loyal users and developers, and has neglected the App Store. As a result, it’s now about to face some stiff competition. Perhaps for the first time ever. Don’t get me wrong. I know that Apple is a behemoth of a company, with resources to burn. Despite, that I wouldn’t write off MacPaw’s effort. 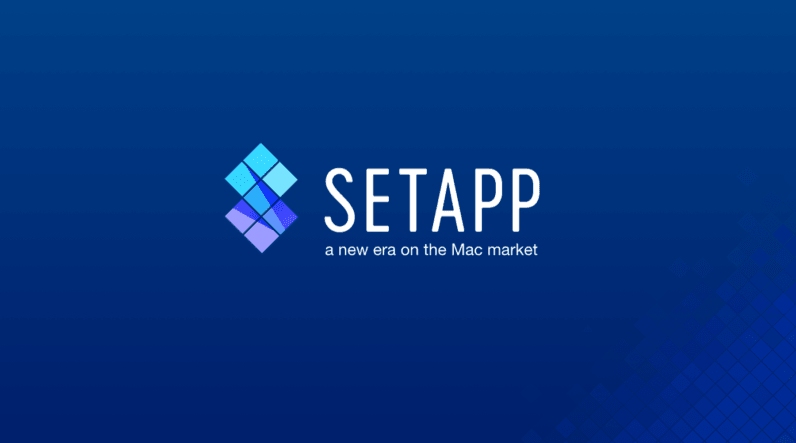 Setapp is currently in a closed beta, with a public beta soon to follow. The service is slated for a full public release at the start of next year.